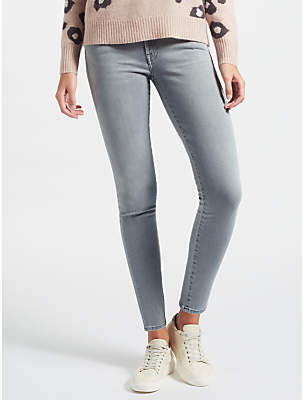 Ankle-length 7 For All Mankind skinny jeans. Ripped knees. 5-pocket styling. Button closure and zip fly. 45% cotton/22% lyocell/21% polyester/10% rayon/2% spandex.